Civic believes everyone should have the right to control the use of their personal information. 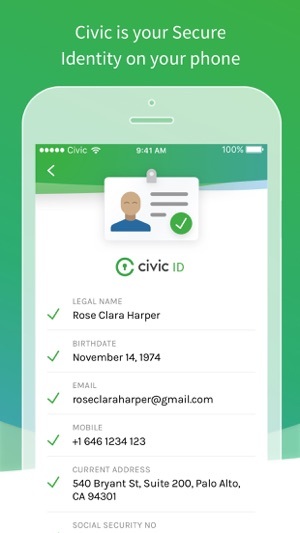 The Civic app provides control of personal information you share with Civic Partners. Move beyond traditional 2-factor authentication without vulnerable texted codes and passwords. Verified Identity Services with Secure Private Authentication expands as our Partner network grows. Offerings are being integrated with Partner technologies and will be available in shortly in subsequent updates. Take advantage of expanded offerings, e.g. in app sign up, by updating the Civic app. 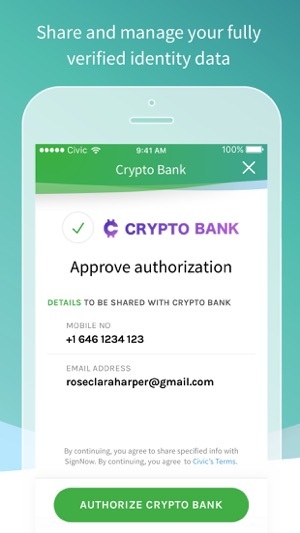 The Civic Secure Identity app stores your sensitive information securely on your phone using bank level encryption and biometric locks. By keeping your data in your control, it’s much harder for hackers and other malicious groups to gain access to this information. 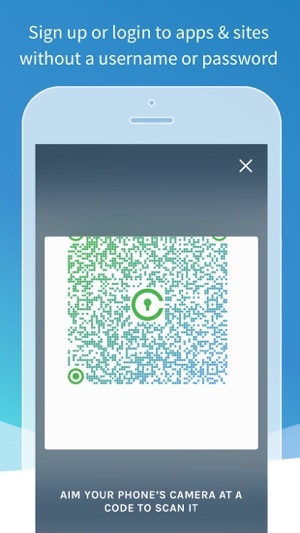 Civic Partners request your information through custom QR codes to be scanned with the Civic Secure Identity app. 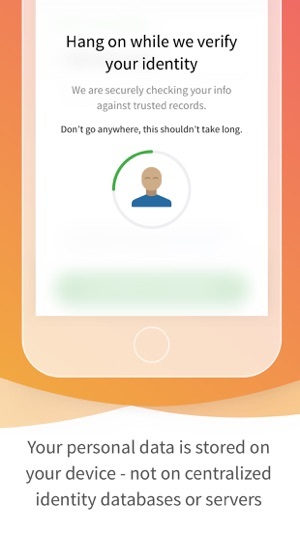 Once you’ve unlocked the app with your biometrics, you can scan these codes, review exactly which information is being requested, and choose whether to approve or deny the request. This unique method allows members to create secure accounts, login to existing accounts, and share sensitive information all without passwords or data being stored outside of your mobile device. Not from an investment perspective , but think bigger. Data dumps of the past. And protecting any kind of other data that needs to remain provide in the bigger online internet based eco system. Being in control of your personal information and being to choose who you share it with is critical. Super excited for this project.